For an exploration of the two mindsets. In a fixed mindset, people believe that their intelligence and talent are fixed traits. This mindset may translate to “I’m just not good at math.” In a growth mindset, people believe that their abilities can be developed through dedication and hard work. This mindset translates to, “If I work at it, I can solve this math problem.” Dweck argues that a growth mindset creates a love of learning and a resilience that is essential for great accomplishment. In short, our beliefs about ourselves can block or empower us. For insights on how mindsets change the meaning of failure. People with a fixed mindset tend to view failure as defining them (i.e. I failed therefore I am a failure). Those with a growth mindset face failure or obstacles by digging in more, tackling problems or learning from them. For strategies in changing mindsets. The good news is that mindsets can change. For example, knowing about the two mindsets can allow you to think and react in new ways (i.e. catch moments of fixed mindset thoughts/behaviours). 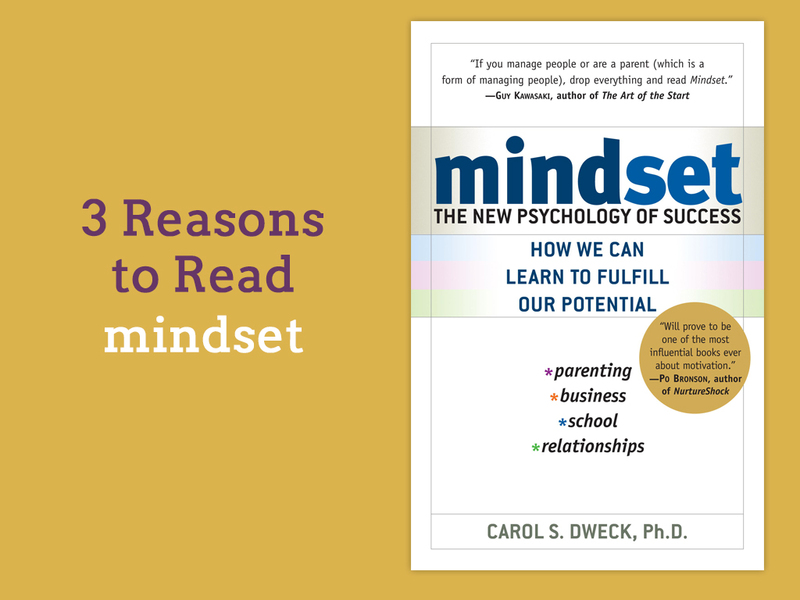 Dweck gives countless examples and strategies for changing your beliefs about your abilities, how you work through failure, and how you view learning/success. Four years ago, I was introduced to this seminal book by my Associate Dean at the college where I teach. Shifting towards a growth mindset is a long term journey that requires commitment and courage to dig deep. Reading this book and sharing perspectives with my peers have allowed me to make positive changes in my own life while promoting the growth mindset as a parent and professor. For more information, go to the Mindset website.